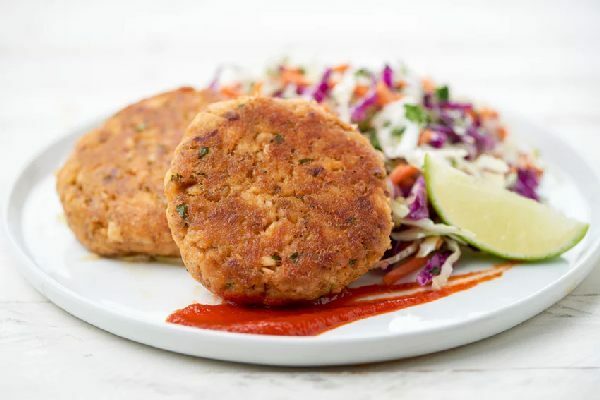 If you love eating delicious food but aren’t so handy in the kitchen, meal delivery services are a convenient dinnertime solution. You’ll choose weekly meal plans that include pre-portioned ingredients and easy-to-follow instructions or full on pre-cooked meals. Whatever you order will be delivered right to your doorstep. So, if cooking isn’t your forte but you’re ready to eat tasty, healthy meals — check out these 4 meal delivery services. 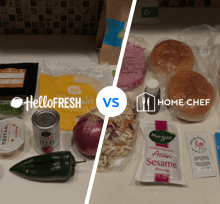 Home Chef takes the guesswork out of cooking. When you sign up, you can pick the meals you want, and you’ll get the ingredients delivered to you with easy-to-follow recipe cards and pre-portioned ingredients. There’s no way you’re going to mess this one up. 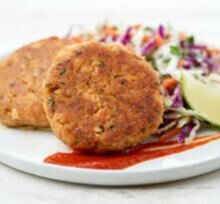 It’s as simple as cutting up the ingredients, roasting the fish, prepping the slaw, mixing up the fish cakes and grilling them in a pan. In around 30 minutes you’ll be the proud creator of a seriously sophisticated, spicy dish. We’re guessing you’ll be replicating this one at dinner parties for years to come. This colorful, Middle Eastern dish looks and tastes really special—and yet it’s a certified Level 1 recipe and takes only 30 minutes to cook. 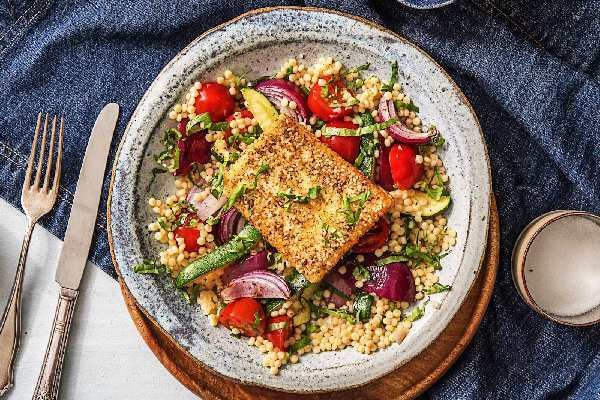 The 6-step recipe is easy to follow and hard to screw up, and if you pair it with Hello Fresh’s wine recommendation (a French Pinot Noir), you’ll be able to wow your partner, family or friends with your cooking prowess. Just like a real chef. This one’s a no brainer: Freshly doesn’t involve any cooking on your part. While it’s more expensive than services that just send ingredients, getting ready-made meals that you just need to pop into the oven may be worth it if you really can’t cook. 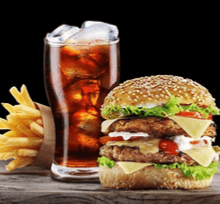 With Freshly meal plans, you can choose from dozens of all-natural, nutrient-rich meals of breakfast, lunch, and dinner, in any combination you want. This protein bowl has everything. 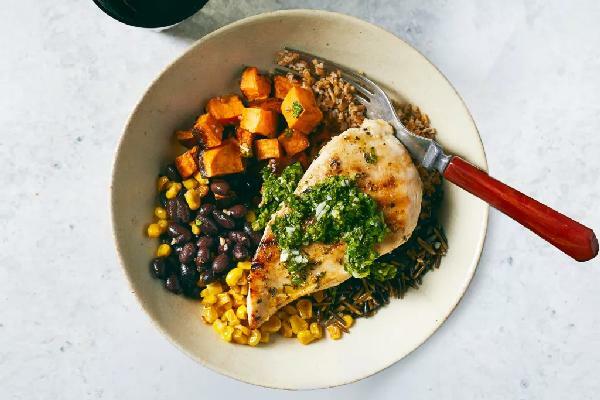 The juicy chicken sits on a bed of quinoa, wild rice, lentils and buckwheat, complimented by fire-roasted corn, chipotle sweet potatoes and black beans. But it’s the cilantro-lime dressing that pulls it all together—we recommend mixing it up for a southwestern flavor punch. And of course the best bit is, you don’t even have to look at a recipe. Those who can cook, do. Those who can’t, blend! Unlike most meal delivery plans, GreenBlender is a specialized delivery service that provides ingredients for making smoothies. Weekly deliveries contain 5 smoothie recipes plus all the ingredients you need to make them. Ingredients are fresh and organic; all you have to do is throw them in the blender. 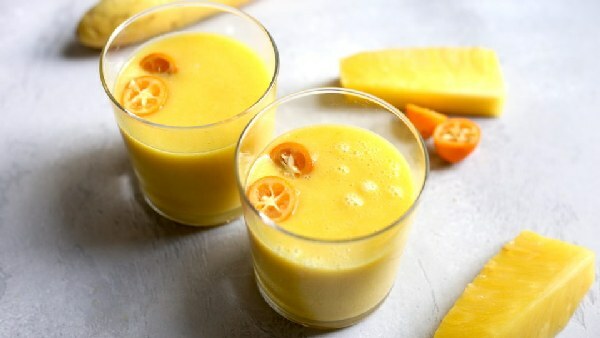 This light smoothie could be the perfect way to start off your day, or you could save it for a mid-morning or afternoon treat. The squash, kumquats and pineapple blend together to give a smooth, citrusy sweetness, and the ginger gives it a good kick at the end. Just because you’re not a 5-star chef doesn’t mean you need to settle for unhealthy, bland food. With the huge variety of meal delivery services available, you can choose one that suits your lifestyle, be it pre-cooked meals, easy-to-follow recipes and ingredients, or fresh fruits and vegetables for smoothie-meals on-the-go. The key is to be aware of what you need and what each service offers so you can make an informed and tasty decision—and get on your way to becoming a better cook.